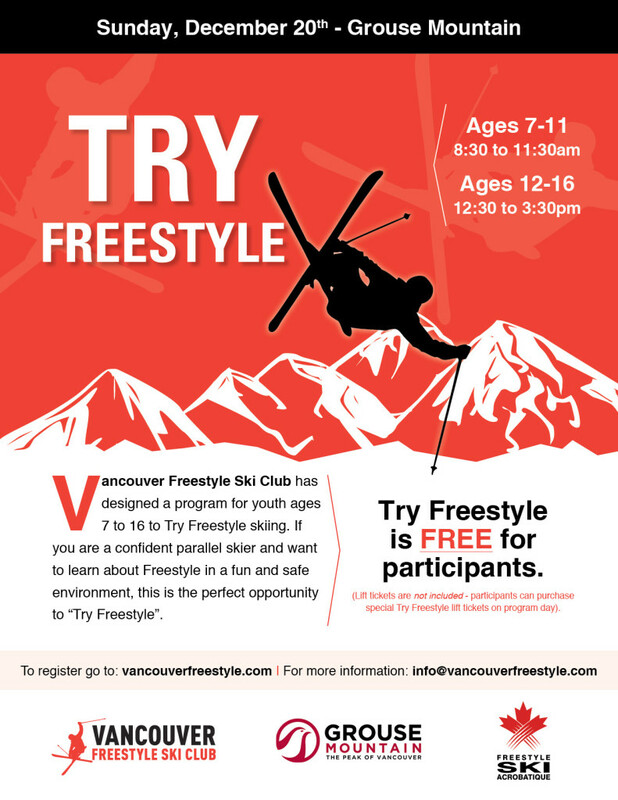 The Vancouver Freestyle Ski Club is offering a TryFreestyle day, December 20th at Grouse Mountain. This is a FREE day of freestyle training open to all new athletes. Ages 7-11: 8:30 to 11:30 AM Ages 12-16: 12:30 to 3:30 PM Register online at vancouverfreestyle.com. Contact [email protected] with any questions.